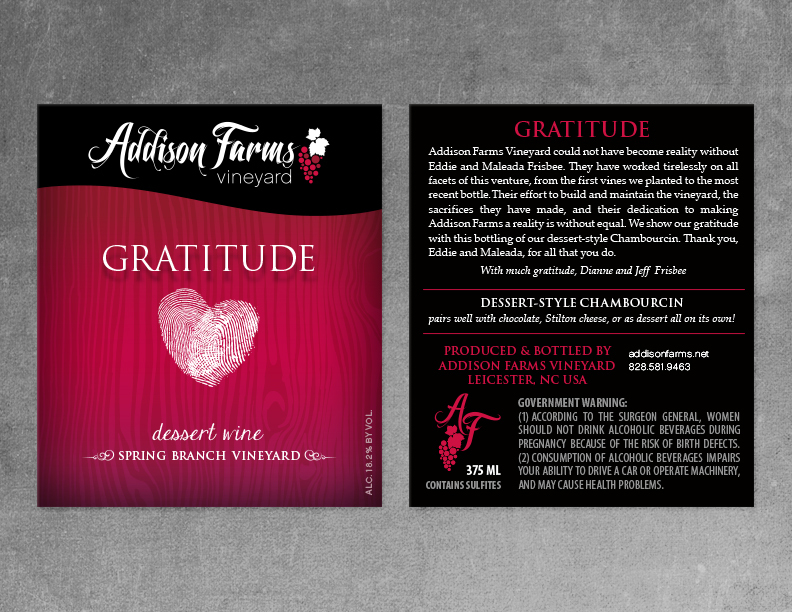 Gratitude is our dessert-style wine made with 100% Chambourcin and aged in American Oak for 24 months. It has approximately 6% residual sugar with notes of mocha and raspberry on the nose. Gratitude is a great dessert all on its own, but it pairs beautifully with dark chocolate or blue cheeses.